Content marketing combined with social media and mobile devices is changing how businesses purchase products and services. According to Demand Gen Reports, 90% of B2B purchasers are ready to buy by the time they find your firm. As a result, your content marketing in its contribution to your brand reputation and your firm’s find-ability is critical to your business success. To help develop your organization’s content marketing strategy, here are 6 highlights from the 2013 B2B Content Marketing Trends Report compiled by Holger Schulze. 71% use content marketing to generate leads. 50% use content marketing to establish thought leadership. 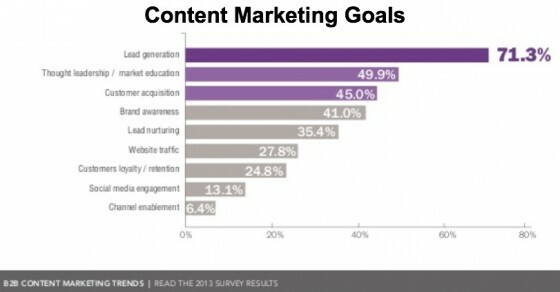 45% use content marketing to acquire customers. Other business objectives include building brand, driving traffic, retaining customers and powering social media. Actionable Marketing Tip: Align content marketing objectives with your business goals. 2. More than one department may own content strategy. In about 60% of businesses, corporate marketing determines content marketing strategy. 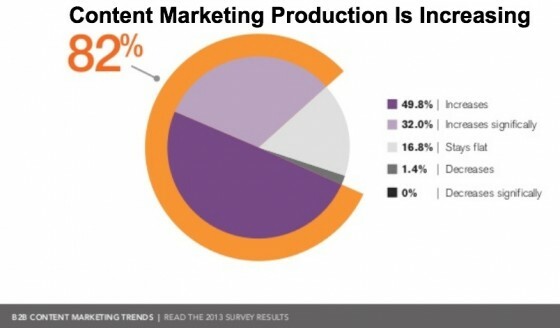 While about a third of CEOs or owners and about a fifth of sales organizations set content marketing strategy. 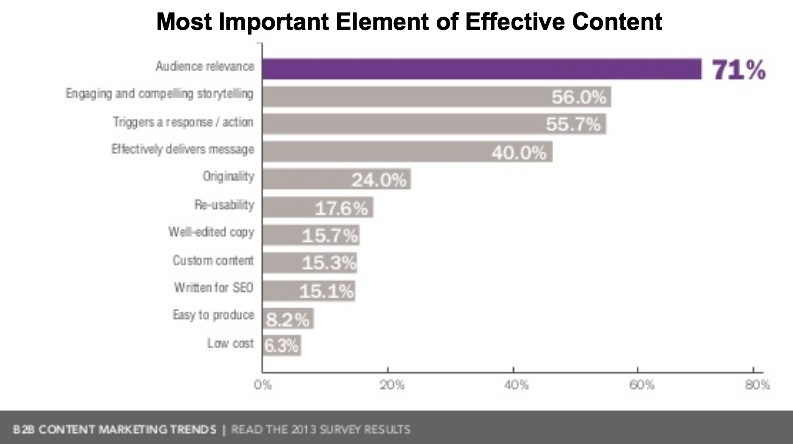 Consultants craft content strategy roughly 10% of the time. Actionable Marketing Tip: Develop your content marketing strategy internally to ensure that its aligned with your business objectives and brand. Also, centralize content marketing strategy across your business to increase efficiency and reduce costs. 3. 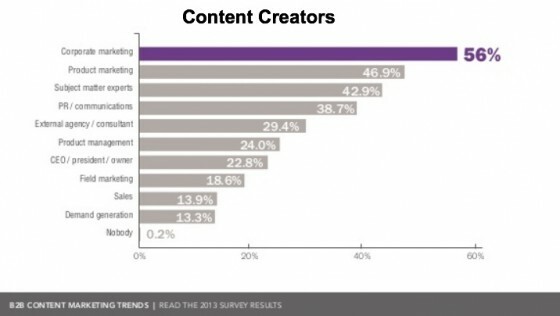 Corporate marketing is the top content marketing creator. External consultants, CEOs and sales personnel also contribute to the process. Actionable Marketing Tip: Leverage the power of your entire staff to create effective content. Don’t limit content creation to a few job titles. Understand that other departments can provide insights into your products and services that help answer prospects’ questions and help qualify your firm’s strengths in the purchase process. 4. 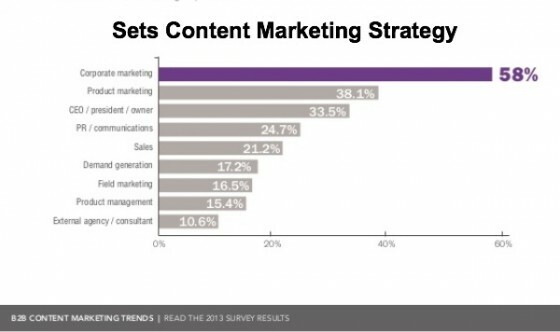 Content marketing, budgets tend to be aligned with marketing strategy. Corporate marketing is responsible for the content marketing budget 56% of the time while CEOs are responsible for the budget 35% of the time. Slightly over 80% of businesses plan to increase their content marketing spend next year. 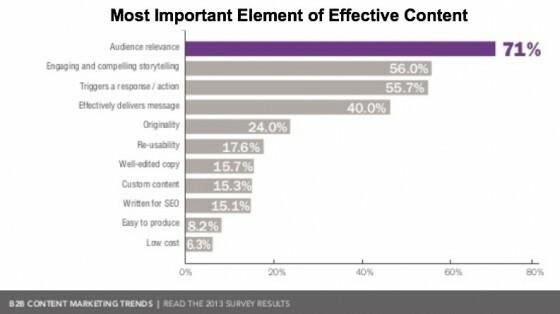 Most businesses allocate about 20% of their marketing budget to content. Actionable Marketing Tip: Ensure that the content marketing budget covers all of the related content creation activities. To this end, it’s critical to ensure that content marketing is achieving its goals. 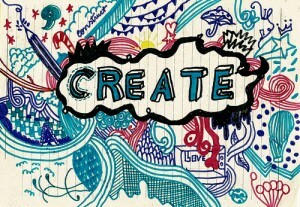 Over 90% of organizations create unique content. One third of organizations curate third party content. 30% of organizations use customer-generated content. Actionable Marketing Tip: Integrate different content creation methods into your editorial calendar. Audience relevance (71%). This is a no-brainer since if the information is irrelevant your prospect has no reason to spend their time reading it. Actionable Marketing Tip: Create appropriate marketing personas and related social media buyer personas to help your content creators better target your content. Compelling story (56%). As the Heath brothers preach in Made to Stick, people remember stories not facts since they provide context that enhances their understanding and memorability. Actionable Marketing Tip: Leverage the power of your organization’s stories, particularly those related to using your products and services, putting them in context for customers. Triggers an action (56%). Since the goal of content marketing is to remove objections and persuade prospects to purchase, you’re seeking a response. Actionable Marketing Tip: Incorporate a relevant call-to-action to encourage prospects to take the next step in the purchase process. While content marketing continues to increase in importance for B2B businesses, you must ensure that your content strategy is consistent across your organization and leverages a cross section of resources. What other B2B content marketing trends do you foresee for 2014 and why? 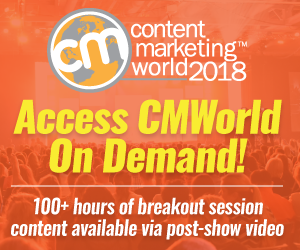 BTW– There’s still time to register for Content Marketing World to get a deeper understanding of this growing form of marketing. Tags 2013, B2B, Chart, Holger Schulze, Research. Bookmark the permalink. Very nice tips on content marketing trends. I believe that our content marketing strategies should not only target to have traffic or profit, but also the keep our customers loyal. Great post Heidi….the statement “other departments can provide insights into your products and services that help answer prospects’ questions” really rings true based on my experience. Its huge. We’ve seen our customers manage this through blogging (of course) and the traditional creation/editing process there….but also they end up adding some kind of public Q&A tool for this very purpose…so they can turn ACTUAL questions into valuable content that leads to traffic. They can also see what questions are viewed/search-for the most and then turn those into more detailed blog posts…so creates a nice “content creation cycle:”. There are some easy plugins out there that can achieve this…a few possible options are Answerbase, Question2Answer, and Shapado….can be useful in the building valuable content area. Great thoughts, we’ll look to share on our feeds. 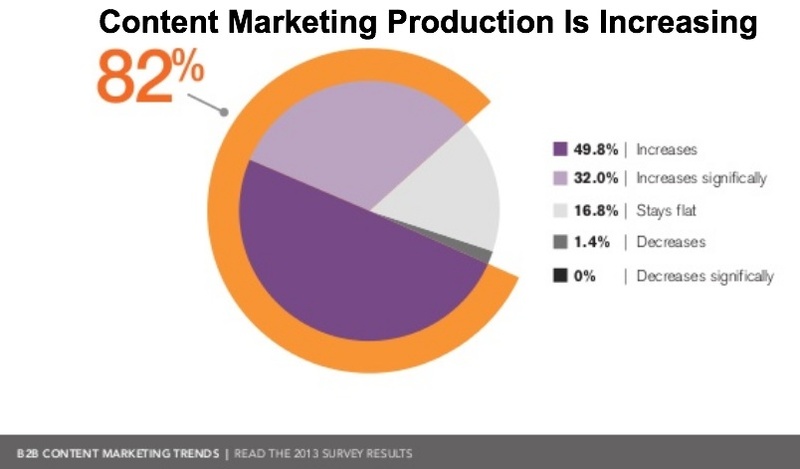 Good post, creation of good content seems to be the biggest problem in content marketing. Generating interesting content is very time consuming so outsourcing your guest blogging efforts to a quality guest posting service saves time so is an ideal option for many companies. I can’t imagine anything less that Qualified Lead Generation as the primary goal of a business website. 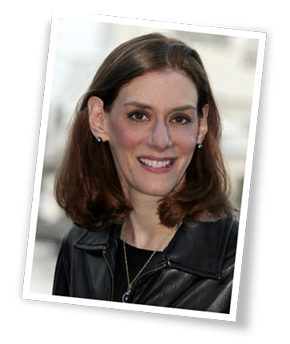 Great article Heidi! I especially like the “Actionable Marketing Tips”. One question: would you consider blog articles as content in the context of this article?